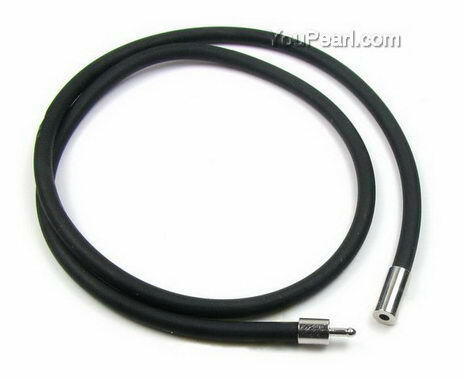 The rubber cord is ended with silver plated push in catch. Very durable product. I am pleased with this sellers product ..